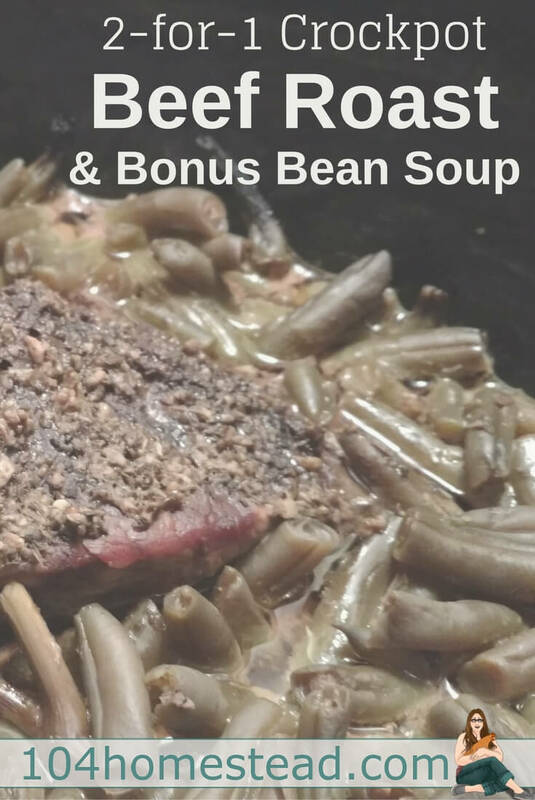 2-for-1 Crockpot Beef Roast plus Bonus Bean Soup! If you are like so many others, time is a real commodity. Our everyday lives are so busy and it can become easy to think that eating real, healthy, homemade food is too time consuming and expensive. I am here to tell you that is it not. All you need is one, glorious, easy to use kitchen appliance – a crockpot. With a crockpot you can set it and forget it (well, at least until it is done cooking several hours later) and you will have a large portion that should last for several meals (depending on how many mouths you are feeding). We love this one, it is large, cost-effective and has lasted in our kitchen for over 6 years now. However, if you like fancy appliances, for just a little more you can get a fully programmable crockpot with all the bells and whistles. Seriously, with these things, you can set how long you want it to cook or what temperature you want the meat to get to and when it hits that, it switches itself to just keep it warm until you are ready to eat! Okay, now that you see how you really can’t live without a handy crockpot in your kitchen, let’s dive in with an awesome 2 for 1 crockpot recipe! First you will be making Crockpot Beef Roast with Green Beans. Mix your garlic, sage, oregano, salt and pepper together. Rub your spice mix on your beef roast. Pop the roast into the crockpot. Add water and green beans. Set heat to medium. Cook for approximately 10 hours (may need longer if you are cooking a larger roast). *** Using a 2 – 3 pound roast typically makes about 6 servings. Click here for the printer-friendly version of this recipe. Now, to double your fun! When your roast is done, leave the broth in the crockpot as well as some of the green beans and we are going to make Bean Soup! 4 cans of beans any kind you like (pinto and black beans work well) – you can also use dried beans. Most people will find dried beans better if they are soaked overnight for around 6 hours in water before adding into the crockpot. Add your water, beans, veggies and noodles (if you choose to use them) into your broth. Heat on medium for 4 hours. Or you can freeze and cook it when you thaw it. Once your soup is cooked, you can bag it in freezer bags to use for a meal at a later date, since you already have a beef roast to eat. Don’t forget to write the date on the bags so that you know when you made it. When you are ready to eat your soup, you can reheat it by popping it into your crockpot and leaving it on medium for a few hours. This 2 for 1 crockpot meal is great because with just about 10 minutes of preparation you get two healthy meals that will make a total of 10 – 12 servings. It also allows you to get all of the possible use out of the broth possible (instead of just throwing it out). Using everything you have is a great way to be sustainable and also save money. If you love these crockpot meals, you may also enjoy this delicious tomato-less Chicken or Beef Crockpot Chilli. 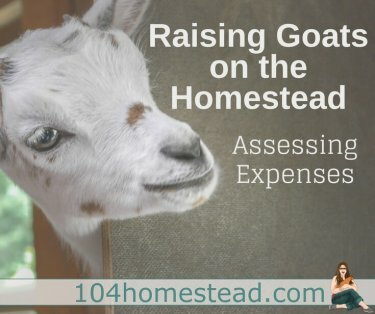 Kristin Duke along with her husband, Justin, runs MrAnimal Farm which is a mini-farm specializing in Silkies, Nigerian Dwarf Goats and Homesteading Education. 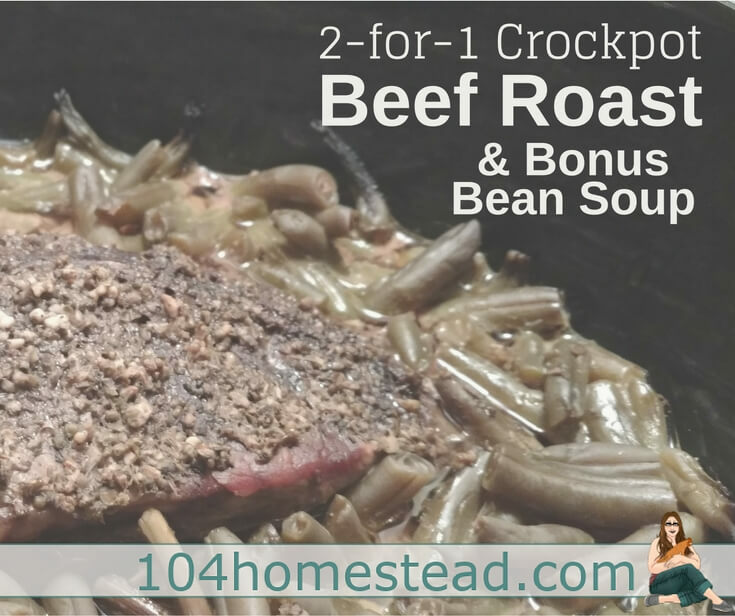 Home » Real Food » 2-for-1 Crockpot Beef Roast plus Bonus Bean Soup!